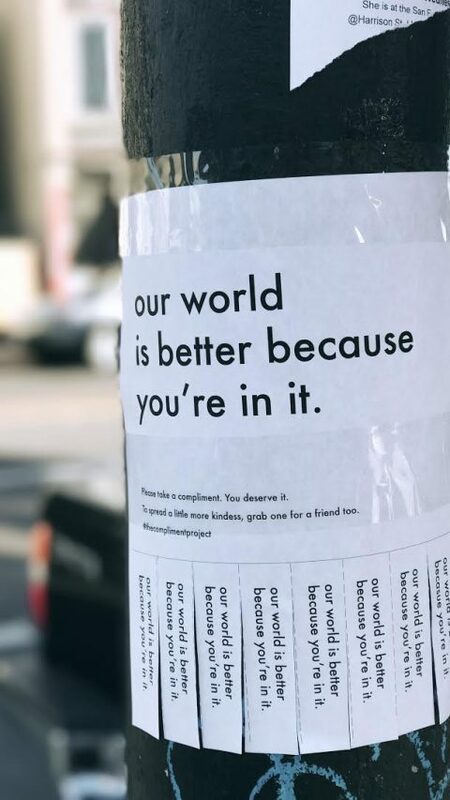 As a way to spread kindness artist Anna Sergeeva designed compliment posters where people passing by can tear off a compliment for themselves or their friends. Anyone can download the posters on thecomplimentproject.org. Help spread a little more kindness.